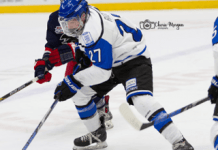 The Victoria Royals are proud to announce the selection of Victoria, BC native and defenceman Nolan Bentham with the team’s first selection, 13th overall, in the 2018 WHL Bantam Draft. 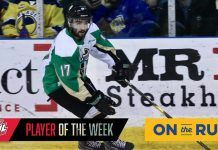 The 6-2, 179 lb defenceman spent the 2017-18 season with the Yale Hockey Academy Bantam Prep team of the Canadian Sport School Hockey League (CSSHL). Bentham played in 30 games for Yale where he earned 22 points (5g-17a) to go with 34 penalty minutes and led his team in defensive scoring. In three post-season contests in the 2018 CSSHL Playoffs, Bentham recorded five points (1g-4a) and finished third in team scoring. Over five games at the John Reid Memorial Bantam Tournament, Bentham earned a pair of assists and six penalty minutes. 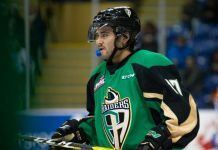 He was also a member of Team White at the 2018 BC Cup where he registered one goal and four minutes in penalties over four games. 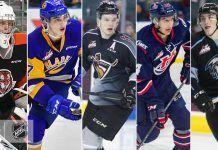 The WHL Bantam Draft is an annual event in which the clubs of the Western Hockey League select players who have graduated from bantam. For the 2018 draft, players born in 2003 are eligible. The Draft order is determined by way of points in the regular season, with the exception of teams that missed the WHL Playoffs which are placed into a draft lottery for the first round only. With the exception of the lottery results in the first round, teams will select in order of fewest to most regular season points. During the bantam draft, players from Western Canada and the states of Alaska, Arizona, California, Colorado, Hawaii, Idaho, Kansas, Minnesota, Montana, Nebraska, Nevada, New Mexico, North Dakota, Oklahoma, Oregon, South Dakota, Texas, Utah, Washington and Wyoming are eligible to be selected.